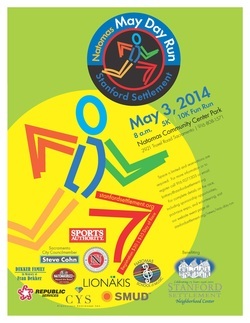 Please join with your family, friends, co-workers and neighbors in building healthy communities at our 5th Annual Natomas May Day Run on Saturday, May 3, 2014. Click here to register online now! For more about how to become a sponsor for this event, click here! For a volunteer application, click here! Stanford Settlement Neighborhood Center, in conjunction with community leaders and volunteers developed this annual community event to raise the funding needed to support the individuals and families served by the agency.